Tweeting earlier in response to Jeremy Corbyn’s conference speech, Ed Miliband observed that the centre ground had moved and was being shaped by Labour. Correct. The boasts about Labour being the mainstream have a solid foundation because, to be more exact, our party is one of two mainstreams. There’s the one we’ve seen Labour pander to for the 20 years pre-JC. The “common sense” centre ground expressed by newspaper editorialising, which has seen a rough consensus around market economics and the role of state, groupthink about cutting social security and immigration, and a unity of purpose in scapegoating powerless minorities. Blair’s genius, if that’s the right phrase, was to constantly adapt to this consensus rather than challenge it. Even redistributive politics that assisted low wage earners were crafted in such a way as not to frighten the horses in the leafy marginals. One problem was once the Tories got their act together under Dave, all it took was Brown to bottle an election for them to cruise to pole position among your YouGovs and Survations. The progressive consensus the later Blair talked about as the timer ticked down lacked substance. For the policy achievements, and there were some, there was no legacy in terms of value and political change. Dog-eat-dog economics reigned and right wing populism and fascism started getting traction during his time. Dave certainly had his problems after ascending to the top job, but overcoming popular affection for New Labour wasn’t one of them. This is the mainstream our Labour First and Progress comrades want to orient toward. The route to power runs through the middle of Britain they say, and this is where it’s at. But they’re entirely wrong, because there is another mainstream. Corbyn’s politics were for years condemned and dismissed as fringe lunacy, but the general election result was a rude wake up for establishment politics of all hues. Just because the anger and frustration accumulating across British society didn’t find expression in elite media outlets, that didn’t mean it was a minority pursuit. Once the general election was called Corbynism became the repository of all that was rebellious and disaffected. Here was a party and a politician who spoke to those excluded from politics, responded to aspirations and interests the establishment conspicuously turned a tin ear to and from an incredibly low base took Labour to within a whisker of power. What Corbynism articulates is a sensibility that the world can be better. There is no need to throw a young generation on the scrap heap of precarity, low pay and frustrated ambition. Or look forward to a future of decaying public and social infrastructure, declining solidarity and atomisation bordering on loneliness. Or older people having their later life blighted by shoddy or non-existent care. Corbynism believes we can aspire to something better than beggar-thy-neighbour and I’m alight Jack selfishness, and 13 million people agreed. If the polls are to be believed – a risky proposition, yes – a consistent plurality of voters now do too. The mainstreams are increasingly visible because we’re seeing the process of polarisation come out into the open. As British capitalism seizes up and its class relationships undergo a profound transformation, the mainstream or centre ground as Blair and friends understood it ekes out a half-life only in their imaginations. The task of progressive politics now is to ride the wave of the new working class, of drawing the immaterial worker into politics in greater numbers and transform the Labour Party into its vehicle. It’s about not just shaping the new mainstream cohering around left politics, but expanding it outwards. What the Labour Party is starting to grasp is how the centre is where the mass of aspirations are, and the mainstream the direction of political travel of a rising mass of millions of people. Jeremy Corbyn’s speech shows he understands this, while his legion of critics do not. And it is this that will continue commending him to the growing dominance of our mainstream. A number of claims are made in this piece. (1) “Blair’s genius” was to constantly adapt to the rough consensus around market economics and the state rather than challenge it. The facts of Labour’s rapidly declining electoral support during the Blair years seem to indicate that if this was his strategy then he wasn’t very good at it. It should also be said that adapting to the consensus didn’t show its effect when it came to going to war in Iraq. We can avoid these problems with a less superficial analysis of New Labour’s strategy. Blair only “adapted” to such parts of the rough consensus that suited his political philosophy. That philosophy was based on rejecting any idea that socialism had anything to do with class interest. Rather socialism was about using raising the standards of all through by embracing the dynamic of capitalism and ensuring that everyone’s living standards rose as the level of economic activity rose. This was a political philosophy and not an adaptation to consensus. Any adaptation took the narrower form of trying to keep the media moguls on board by showing that Labour was no threat to their interests. As a way of answering Labour First and Progress this has no traction. Their response, if they were inclined to answer, would be to point out that they believe in an increased role for the state and in better regulation of capitalism’s least desirable effects. They will even admit that some of the deregulation under Blair/Brown was a mistake. (3) We are told in paragraph two that for the Labour right “The route to power runs through the middle of Britain … and this is where it’s at. But they’re entirely wrong …”. In paragraph three we read “What the Labour Party is starting to grasp is how the centre is where the mass of aspirations are, and the mainstream the direction of political travel of a rising mass of millions of people”. Phil B-C has forgotten is that this vague slogan was also that of the Blairites. In fact their rally song was precisely “Things can only get better”. I agree that there are issues concerning the changing nature of work and the changing nature of the working class (or whatever term we use to designate those on the negative side of capitalist exploitation). But all we get here is a vague allusion to this problem and I would have to have a good reason to follow the many references that Phil gives to his own blog writings on the question. P.S.1. There are eight links given in this piece. One is to a tweet by Ed Miliband. The other seven are all to items on Phil B-C’s blog. While this may be legitimate on the original blog it looks worryingly like political narcisism when reproduced on another website. Are we seriously being invited to read seven of Phil’s blog articles in the course of reading this piece? P.S.2. This article was taken from Phil B-C’s blog of 27 Sept. Shouldn’t this be indicated so that the reader knows the difference between original articles and those copied from other sources? I agree with David that Blairism was more than an adaptation, although its theorisation by Giddens as ‘ The Third way’, prabably exaggerates its significance. Essentially it is a form of liberalism, and Blair looked forward to a Lib/Lab coalition in 1997, although in the noughties the Lib-Dems managed to position themselves to Labour’s left, but post Iraq this wasn’t difficult. What is often not recalled is the appeal of Blairism pre the 97 election, evidenced in the enormous increase in membership in 95 – 97, only surpassed in recent times with that under Corbyn. The appeal was similar to Wilson’s in 64, to modernisation, casting the Tories in both cases as hopelessly out of date. A favourable economic background enabled some redistribution to take place, particularly regarding the elderly via pension credit, the best thing perhaps that New Labour ever did, but the emphasis on choice and neoliberalism saw growing inequality, while the failure to provide housing and restore trade union rights mark two huge betrayals.Blairism should have completely collapsed in 2007, but it has proved resilient, and it has taken almost a decade for a mild form of social democracy to reestablish itself. A spectre is indeed haunting the Tory party, but it is the spectre of moderate social democracy. Phil B-C has published a few good articles (always recycled from his blog) , over the years of his self publicising output , amongst a welter of utter dross. But, as a former happy bag carrier for arch neoliberal , Tristram Hunt, in Stoke Central for years, and a supporter of Yvette Cooper in 2015, the entire purpose of Phil’s current output (as with that dreadful opportunist backstabbing turncoat, Owen Jones, in the Guardian ) is to bury his political past, and jump decisively on the now hegemonic “Corbynist” political bandwagon in the guise of a “true believer”. In Phil’s case (and possibly Owen Jones’s too ) with a clear, calculating, eye to future CLP candidate selection committees when a vacant seat comes available. Phil’s fundamental opportunism just keeps surfacing in his treatment of Blairism and simplistic sloganizing in this article. One of the more entertaining features of the current political scene is watching Owen Jones’ desperate attempts to rehabilitate himself. Having his name linked with Momentum at every opportunity seems to be a key part of the strategy. None will struggle to rehabilitate themselves more than the geniuses on the Left who said Brexit would be good for working people. …except actually the line is not that “Brexit would be good for working people” but that Brexit is necessary to make lawful a socialist economic programme based on a planned economy and public ownership, which would be good for working people. This is still not understood, e.g. by he of the ever-changing views Mr Owen Jones who now claims to favour bank nationalisation without noticing that this would be unlawful under his beloved European Single Market, which guarantees freedom to set up branches and subsidiaries for firms established in other Member States (“freedom of establishment”). Any bank could shift its HQ to another Member State to take advantage of this provision. As for Paul Dias, his stance really adds up to saying that capitalism is good for working people. New Labour simply are not Labour, Blair came to power on the back of Labour support but immediately set about changing Labour into a pro business party. He even went to the extent of saying peoples living standards have to fall in order to be competitive, forgetting that companies had seen unparalleled growth in their profits and simply refused to pay workers what they were entitled to. The Tories have been sustained in office and outside it in the clear knowledge that whatever government was in office the same message would be delivered. The dismantling of the state has been wrapped up terms of affordability, whilst at each turn money has been taken from public expenditure which further reduced the capacity of public services to deliver, self serving the pressure for more privatisation. Classic Naomi Klein’s description of the “Shock Doctrine”. In the early days most of us were taken in by Tony Blair, thinking he offered a new way of presenting a vision for Labour, although superficially recognising that what he was saying in reality did not add up. That is I thought he being clever and talking the Tory Neo-Liberal talk but things differently. Sadly the longer time went on the reality grew that he really was a Tory Neo-Liberal. As we have seen over the last couple of years, people realise that platitudes are what they are and just hide the real intent of what is corrupt government. No politician has all the attributes to appeal to everybody in society, but in Jeremy Corbyn warts and all, people see someone who’s intent first and foremost, is not to do actual harm, whilst the Tories demonstrate that they simply do not care and will pursue their own interests above the needs of the country and its people. We are also now talking about progressive policies that are achievable, and people know that Labour has done it in the past and can do it again. What the Tories say is un-affordable has been broken by their own actions, when Cameron said after sacking half the environmental flood teams, then during the floods that money was no object, was a point not missed even by his own Tory voters. Theresa May of course proved her incredulity by saying we have to make cuts in public expenditure, whilst in the next breath giving the DUP a loyalty bonus of £1 billion, the money tree is there for all to see, but only when the Tories decide to shake it. Whilst capitalism is busy devouring itself, a new dawn is arising, that money is really not the issue for a country such as our’s, and that we really don’t have to sit around waiting for large corporations to decide they can exploit our talents to make even more profits for themselves. We can do that all by ourselves, and all it will take is a government willing to do it. John McDonnell’s investment Bank is a good start in the right direction. Corbyn now needs to make a real effort to change Labour’s policy on Trident and to drop the commitment to spend 2% of national income on the military. Interesting to hear that Hammond has attacked Corbyn et al at their Conference as “Labour dinosaurs” and wanting to go back “to the failed ‘socialist’ experiments of the 70’s” plus they are happy to take Labour on over capitalism. The Tories (as true con-artists) greatest skill is to PRETEND that they are non-ideological and at times ‘non-political’ when of course they are Neo-Liberal dinosaurs who have been captured by Neo-Liberalism since Thatcherism in the 70’s! Ideologically too they also represent the Neo-Liberal capitalist forces who legally nick the surplus labour of working people whose labour really creates the wealth and makes societies work; the Tories know this and hence their claims to act on behalf of the national interest for which we should read capitalist interest – so Tory Neo-Liberal capitalist legal thieves bring it on! All machinery, computers, buses, planes, trains etc. etc. are dead until you add one magic ingredient everywhere in the World – working people – and we need genuine left wing democratic socialists in power everywhere to serve WITH working people and not just do FOR them. So Labour needs to learn too, we need to get away from being predominantly top down and these are also good arguments for democratic public ownership. I have mentioned how we could have CLP Community Conferences on Labour draft policies like housing, to give people a say and build support. In a grassroots members approach we also need to be reforming more: Labour rules, Conference, the NPF, Labour in local government plus look at harnessing new technology alhough face to face discussions are best as you hear the arguments and remember 80% of all communication is non-verbal plus let’s do more of what some branches and CLPs are doing now and that is cutting down business to half an hour and discussing campaigning/politics/resolutions for the rest of the time – some may be driving new members away with boredom! We have moved on from top down crumbs for working people Labour, to Neo-Liberal New Labour, to left wing democratic socialists for the 21stC. We can see the lines the Neo-Liberal Tories will be pursuing and we need to counter these captured Right Wing Neo-Liberal capitalist ideologues! The phrase ‘Tony Blair’s genius’ is a precursor to despair. His genius has always terminated in his family’s gross and obscene personal consumption and his own moral bankruptcy. Hellooooooo … anybody there ? This Left Futures discussion site appears to have died – as a blog that is regularly updated (I know for a fact about 4, or more, good articles are awaiting publication). ALSO…The National Momentum Site appears to have died too – not being updated since Conference – or, quite extraordinarily, even DURING the most successful Conference for the Left in generations ! Most peculiar. Have the entire Momentum and Left Futures teams gone on holiday somewhere exotic to recover from Conference ? Still … there’s nothing important going on at all at present politically worth bothering about is there ? In other words, in Corby’s Britain pragmatic economic thinking will trump nativist fantasising. This must be upsetting to sclerotic racists of all political stripes. Errrr, “irony alert”, Paul. My “nothing important going on…” comment was ironic. Try to keep up lad. Also your politically juvenile belief that wanting to leave the entirely neoliberal EU and its “Four capitalist freedoms” straightjacket, in order to free the UK to pursue a radical reformist Left economic and social agenda under a future Labour government , is based on fascist/racist motivations, simply demonstrates you immature political ignorance. You could equally be accused of being a gullible Left liberal stooge of the propaganda image presented by the neoliberal Big Business enforcement machine that is the EU. By the way, nothing Jeremy said necessarily implies the UK has to stay within the Single Market , just that the UK gets tariff free ACCESS to it – whatever the neoliberal Labour Right, and yourself , may devoutly wish. As John says, Corbyn’s comments don’t commit the UK to Single Market membership. In fact, they don’t commit the UK to much of anything; they are mostly empty waffle. If I was on the the NEC (after being elected on my ideas by the grassroots OMOV) I would say we urgently need to focus too on the over 45s (where we lost heavily). And every CLP should as soon as possible hold an Open Meeting for those Over 45 in their areas on ‘Over 45s – What would you like from Labour’ and not a case of handing a mike round which sounds democratic (where only the most confident speak) but small group workshops then a plenary so every one can have their say. Of course it would help to have some basic policies to discuss as a stimulus to discussion and Labour nationally are in the early stages of this but we need to hurry up! Solidarity to all left wing democratic socialists. Oh and back to retirement at 65 for all (60 for manual workers) could help – would also free up jobs for young people and is capital’s latest ruse to get more out of working people for a few extra years! And why not follow the ideas in Paris (where they had smog) and have 1-3 days now and then of free public transport (60% of cars banned, and buses and metro free) it got rid of smog though cost £5m a year but could impact upon air quality and help the transport poor as well as the environment. Could try this up and down the country. The above article is date 1st October. So why, if as JohnP states, if there are four new articles awaiting publication, why have they not been posted up? There has been a major political issue over Universal Credit. There is an ongoing crisis in Spain, with the repression of the Catalan struggle for self-determination. And the Tory Party is riven with splits and division. But it seems the people running this site have no interest in any of these current issues. Two of the four articles apparently rejected, or ignored, for publication (none written by me) were concerned with democracy in the Labour Party and , via the Venezuelan “Chavezism” case, democracy on the Left more generally. All a bit close to home in Momentum currently possibly, Karl ? This sort of old guard cronyist, backroom, undemocratic, manipulation will of course easily outmanoeuvre a politically uneducated and naïve membership – BUT , come a future Labour government inevitably under severe economic sabotage by the global markets and their creatures in the UK press and PLP, and ,disastrously, a politically unsophisticated, ideologically unprepared and unmobilised mass membership will not be available to provide the backing “on the streets , in the workplaces, and in the communities” that that Labour government will desperately need to survive. The article dealing with Venezuela was written by me, although it’s worth noting that it is now a few months old; I originally wrote it when everyone was demanding Corbyn condemn Maduro. I suspect it has been deleted from the dashboard by now. I do still have the draft, though. Since it was written, I have grown even more convinced that this is a message Labour members needs to hear. Good article on Chavism and venezuela, and lessons for Labour, C.Mack. I can now see just why this blog wasn’t keen to publish it ! I’m afraid the only conclusion one can rationally draw from the de facto closure of Left Futures as a debating forum for the Labour Left , and the parallel close-down of the entire Momentum National Site (not updated since Conference, and not used at all to assist with Conference Left mobilisation) is that, for the Corbyn/Lansman Circle , Momentum (laughable slogan “A new kind of politics”) , as any sort of dynamic , member-led, democratic organisation , and Left Futures ,were just convenient postures by a deeply cynical set of adherents of the worst old style inner circle, “top-down” , manipulative politics – identical in methodology to the Blairite Progress/Labour First Right. The profound tragedy of this elitist arrogance is that a politically educated mass membership is the only potential bastion of mass support for a future Corbyn Labour government facing an inevitable hostile reaction from the money markets and Big Business generally (and the PLP Right majority). The deliberate demobilisation of Momentum’s membership – reducing it to a passive stage army to be instructed periodically where to campaign and which Leadership annointed candidates to vote for (eg, the current three new NEC positions), or attend anodyne “The World Transformed” cultural events, is nothing less than a crime against our class – and we will pay heavily for this disastrous development in the years to come. Is this closedown indeed a precursor to the Corbyn Circle lurching rightwards in its policy bundle ready for a new General Election – in an attempt to capture that old bankrupt obsession of the Labour Right and Centre, “the centre ground” ? We saw nationalising the banks disappear from Corbyn’s Leadership contest policy offer in 2016 compared to 2015. Will our next Manifesto look more like Ed Miliband’s feeble offer compared to the mildly radical 2017 one ? Are the Corbyn Leadership Circle about to “do a Alex Tsipras’s Syriza” policy U turn to the neoliberal Right even BEFORE Labour wins the next election ? It aint looking good comrades . John you have always been a pessimist whilst I am an eternal optimist. My theory is that you are on the whiskey and the more drams you have the more bitter you get whilst I am on the real ale, and the more I have the more loving I become of the diverse oppressed working people of the World! At least you are still allowed to post, my comments have been moderated for about 6 months and what have people to fear from a grassroots, working class, bottom up, participatory left wing democratic socialist with a Masters Degree? Ideas? I had called for nominations for leader also to be allowed from 10% of CLPs and/or 10% of affiliates (giving the Left 3 bites of the cherry) but this was dropped (after CLPD had originally agreed) as a deal was done which left power with MPs! I actually applied for the Left NEC slate (as I retire soon) but then wondered why I was applying to such a secretive group? Perhaps some of the old Left need to learn to let go and let the new, imaginative, and dynamic step up! Despite my experience I am still recommending members vote for the current left wing slate. My worry deep down in my soul is if there is an election soon and we win, we may lose; will all our MPs go through the lobby to transform the UK as an example to the World? If I was a Neo-Liberal capitalist I would then try to stuff their mouths with gold! All I am calling for is selections and I will recommend left wing democratic socialists vote for left wing democratic socialists! Solidarity! Bazza, I had to change my posting name , to “JohnP” and my EMAIL address, to get past the “moderation” (ie, blockage) that you, me, and many other regular (Left) posters were mysteriously faced with six months ago ! I don’t think the regular Right trolls had any such problem. I admire your eternal optimism, Bazza, but this discussion forum has obviously been discontinued . It is still advertising the JUNE Centre Left NEC Candidates atop the page ! But NOT the current new three Centre Left NEC candidates – even though one is Jon Lansman !! If Labour wins the next election , possibly even say in 2018 or 2019, there can be no doubt that the PLP majority will actively sabotage and betray a Corbyn-led government. So to counter this, the Lansman claque who own Momentum are busily demobilising a potential major support ( 31,000 members , and over 200,000 strong with supporters) for this future government ! Not much basis for current optimism, Bazza. But many of Momentum agree that selecting a left slate should be by all of us so the top-down old left (who need to learn to let go) can only use procedural tricks for so long. The genuine grassroots, bottom up, participatory left wing democratic socialists will win the war – by trickery they win a few battles. Oh I use the term “left wing democratic socialist to define myself” as I learnt from an international adult education conference in Slovenia in the 1990’s how because of Stalinism “socialist’ was seen as a dirty word). I have always said the battle is to beat the Right in Labour, the bourgeois socialists (in and out of Labour) and then the Right outside of Labour. I have not once (unlike others) deviated from my principles which is why we and working people (in the UK and World) will win in the end. I don’t like to speculate unduly. However, at the very least we have to say this blog is on hiatus. I scanned through the archives dropdown on the sidebar and saw that the only month with fewer articles published was the month LF was founded. Interestingly, I also noticed a substantial decrease in the rate of articles being published after Corbyn won the leadership. If I’m being charitable I can attribute this to Lansman being busy with Momentum etc. 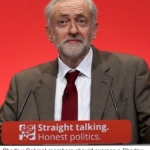 Nonetheless, it is when Labour has a left wing leader that active debate on the left is most vital. I doubt that Corbyn would shift to the right in the sense of abandoning the manifesto. It was too popular and abandoning it would obviously risk demotivating the nonvoters Labour was able to attract. Of course, the manifesto was already a slide to the right compared to what Corbyn was elected leader on, especially when it came to foreign policy and Trident. What I’m concerned about is the many areas where the manifesto was vague or incomplete. We could see those areas developed with right-wing policy, rather than left-wing. If Corbyn were to decide to explicitly embrace permanent membership of the single market then this could also be a pretext on which to backtrack on certain policies (i.e. rail nationalisation). However, I doubt he’d do this, as to date it’s been beneficial for him to be vague about future relationships with the EU. We could also see resistance to any attempts to shift the manifesto to the left (e.g. on energy nationalisation). This strikes me as a particularly likely possibility, so I think the bigger concern is not the abandoning of the manifesto but of it being established as the boundary of left-wing politics. It must be said that Corbyn never made particularly explicit calls for bank nationalisation. Even in the earliest days of his first campaign, while he indicated that Gordon Brown should have nationalised the troubled banks completely, he indicated that he’d accept regulation of the private banks. By the end of the first campaign we also saw him backtracking on commitments to nationalise energy, instead opting for a similar policy to what ended up in the manifesto. Most unfortunately of all, like you I share little hope that the party will be democratised, except in as much as it helps the internal machinations of the party’s left faction. Arguably the 2015 manifesto was better than this year’s regarding banking, as not only did it propose a National Investment Bank and regional banks, which this tear’s also did, (although many members seem to think that these policies originated with Corbyn), they also proposed, albeit rather ambiguously, the breaking up of the big banks. So well done Ed. Unfortunately, but predictably, these policies barely surfaced in 2015 because of Labour’s commitment to continue Tory austerity poicies. So it’s official then, this blog’s over. Continue the debates on another forum? One important reason for maintaining this Blog in its current strange zombie state is of course that Jon Lansman’s legitimacy claim to his position on Momentum’s leadership grouping is based entirely on his “representation” of the Left Futures discussion forum ! As if Left Futures is some sort of democratically accountable member-based entity which voted him onto Momentum’s leadership group – rather than just Jon’s personal property ! Such is the dodgy composition of most of Momentum’s leadership grouping of course. Not really “the new politics” is it ?